Our clinic offers an online store! 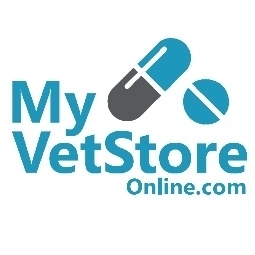 Through MyVetStoreOnline you are able to order medications and pet food, both prescription and over-the-counter, and even toys, treats and other items for your furry friends. All prescription items require doctor approval, and orders will be completed within 24 hours. Monthly automatic refills can also be requested. Have difficulty remembering to refill your pet's medications monthly? Try the Easy Dose It! feature. This allows you to request an automatic monthly refill to be mailed to you for up to one year, and can be cancelled at any time. This is a wonderful feature for clients who prefer to purchase their heartworm preventative monthly. Never miss a dose! Always receive their medications on time! You can receive it in the mail and give it to your pet the same day. Going south for the winter and need a refill? You can change the shipping address for the season and have it sent to your door. Shipping is free on all orders over $38, or an $8 flat fee is applied for smaller orders. Shipping is included on diets and Easy Dose It! items. Shipping is also fast, an estimated 3-5 days. The best part: Manufacturer rebates and guarantees still apply on products purchased through our online store. This is not true of independent online stores. You do not have to be a client to order from us, unless it requires a prescription, and guest checkout is available. Tell your friends!